Maybe EA will finally make good on its Star Wars license. In other words, this is probably the game you’ve been waiting for. (Unless you’ve been waiting for Knights of the Old Republic III, in which case I can’t help you.) And you won't have to wait too long, as it's slated to release November 15, 2019. Let’s just roll the trailer, shall we? Set between Star Wars: Episode III and IV, you play as a Jedi—a Padawan actually—named Cal Kestis, a young-looking kid who survived Palpatine’s Order 66 purge. He’s in hiding at the start of the game but is driven to use the Force to save a friend, drawing the eye and ire of the Empire. On the lam, Cal has a lightsaber and some rudimentary Force powers at the start, but will presumably develop those skills over time. The trailer also features a very Respawn moment, as Cal wall-runs through a bunch of blaster shots, a la Titanfall. It's a "Story Trailer" though, which means a bunch of cinematics strung together. We didn't get any real details about the moment-to-moment game, except that it's...a melee-centric game with Force powers. That's uh, pretty much what I'd expect from a game about a Jedi. You might as well say the next Call of Duty will be a shooter. For more details, we'll most likely need to wait until June and EA's annual EA Play event in Los Angeles. 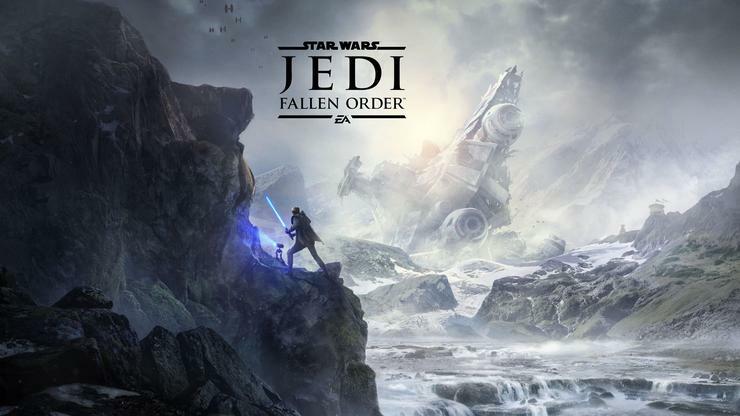 EA's already said it won't hold a press conference this year, but presumably there will be a Jedi: Fallen Order panel (or three) with detailed looks at other parts of the game. Maybe a hands-on demo, if we're lucky.